This entry was posted on May 13, 2015 at 1:29 am and is filed under asylum party, coldwave, compilations, ellysgarden, france, french, goth, goth-rock, little nemo, lively art, post-punk . You can follow any responses to this entry through the RSS 2.0 feed You can leave a response, or trackback from your own site. 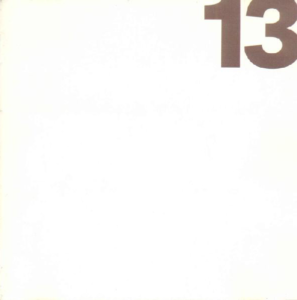 13 is really good. ¿Do you have the video that was released along with the record? It’s something I always wanted to find. I saw it many years ago, perhaps somebody can be of help. Thanx for the comps. I wish I did, but I’ve seen a few of these videos floating around, some on the excellent RBV Transfert DVD. Thanks for these wonderful compilations! You noticed that Alea Jacta Est released most of Lucie Cries’ discography (all their albums and maxis, I believe), and indeed Alea Jacta Est was created by Olivier, the bassist and core of Lucie Cries (also main singer, except on this first track The Muse’s Calling). Dreaming is one of those tracks from Aslyum Party that will never, ever decay or cease to put me in a state of pure bliss. 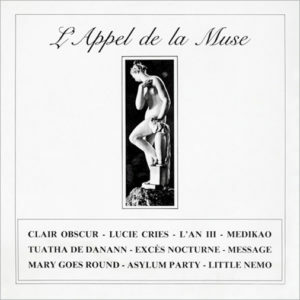 The bass guitar in this is just magical, dark, mysterious….everything I with French Coldwave could still be even today. Merci for all of your posts, hard work and research into such a Gem of a Dying Genre <3.